This is “Defining Economics”, section 1.1 from the book Macroeconomics Principles (v. 1.1). For details on it (including licensing), click here. Our unlimited wants are continually colliding with the limits of our resources, forcing us to pick some activities and to reject others. ScarcityThe condition of having to choose among alternatives. is the condition of having to choose among alternatives. A scarce goodA good for which the choice of one alternative requires that another be given up. is one for which the choice of one alternative requires that another be given up. There are not many free goods. Outer space, for example, was a free good when the only use we made of it was to gaze at it. But now, our use of space has reached the point where one use can be an alternative to another. Conflicts have already arisen over the allocation of orbital slots for communications satellites. Thus, even parts of outer space are scarce. Space will surely become more scarce as we find new ways to use it. Scarcity characterizes virtually everything. Consequently, the scope of economics is wide indeed. For whom should goods and services be produced? If a good or service is produced, a decision must be made about who will get it. A decision to have one person or group receive a good or service usually means it will not be available to someone else. For example, representatives of the poorest nations on earth often complain that energy consumption per person in the United States is 17 times greater than energy consumption per person in the world’s 62 poorest countries. Critics argue that the world’s energy should be more evenly allocated. Should it? That is a “for whom” question. The concept of opportunity cost must not be confused with the purchase price of an item. Consider the cost of a college or university education. That includes the value of the best alternative use of money spent for tuition, fees, and books. But the most important cost of a college education is the value of the forgone alternative uses of time spent studying and attending class instead of using the time in some other endeavor. Students sacrifice that time in hopes of even greater earnings in the future or because they place a value on the opportunity to learn. Or consider the cost of going to the doctor. Part of that cost is the value of the best alternative use of the money required to see the doctor. But, the cost also includes the value of the best alternative use of the time required to see the doctor. The essential thing to see in the concept of opportunity cost is found in the name of the concept. Opportunity cost is the value of the best opportunity forgone in a particular choice. It is not simply the amount spent on that choice. Oil is an exhaustible resource. The oil we burn today will not be available for use in the future. Part of the opportunity cost of our consumption of goods such as gasoline that are produced from oil includes the value people in the future might have placed on oil we use today. It appears that the cost of our use of oil may be rising. We have been using “light crude,” the oil found in the ground in deposits that can be readily tapped. As light crude becomes more scarce, the world may need to turn to so-called “heavy crude,” the crude oil that is found in the sandy soil of places such as Canada and Venezuela. That oil exists in such abundance that it propels Venezuela to the top of the world list of available oil. Saudi Arabia moves to the second position; Canada is third. 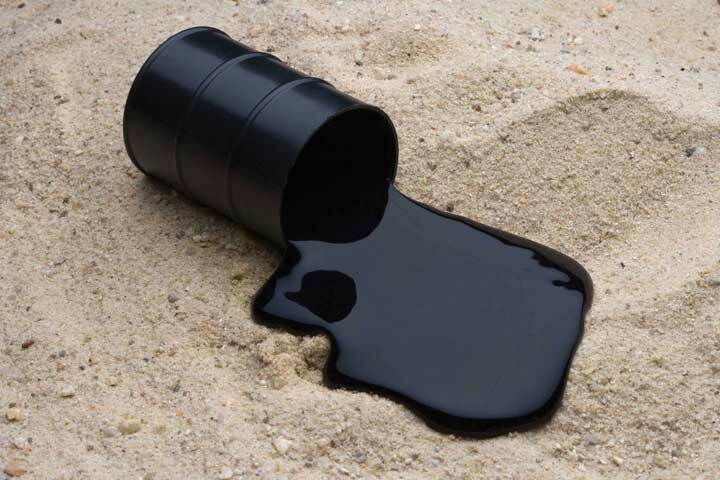 The difficulty with the oil mixed in the sand is that extracting it is far more costly than light crude, both in terms of the expenditures required and in terms of the environmental damage that mining it creates. Northern Alberta, in Canada, boasts a Florida-sized area whose sandy soils are rich in crude oil. Some of that oil is 1,200 feet underground. Extracting it requires pumping steam into the oily sand and then pumping up the resultant oily syrup. That syrup is then placed into huge, industrial-sized washing machines that separate crude oil. What is left over is toxic and will be placed in huge lakes that are being created by digging pits in the ground 200 feet deep. The oil produced from these sands has become important—Alberta is the largest foreign supplier of oil to the United States. Already, Total SA has clear-cut thousands of acres of forest land in order to gain access to the oily sand below. The process of extracting heavy crude oil costs the company $25 a barrel—compared to the $6 per barrel cost of extracting and refining light crude. Extracting heavy crude generates three times as much greenhouse gas per barrel as does light crude. By 2015, Fort McMurray, the small (population 61,000) town that has become the headquarters of Northern Alberta’s crude oil boom, will emit more greenhouse gas than the entire country of Denmark (population 5.4 million). Canada will exceed its greenhouse gas quota set by the Kyoto Accords—an international treaty aimed at limiting global warming—largely as a result of developing its heavy crude deposits. No one even considered the extraction of heavy crude when light crude was cheap. In the late 1990s, oil cost just $12 per barrel, and deposits of heavy crude such as those in Canada attracted little attention. By mid-2006, oil sold for more than $70 per barrel, and Canada’s heavy crude was suddenly a hot commodity. “It moved from being just an interesting experiment in northern Canada to really this is the future source of oil supply,” Greg Stringham of the Canadian Association of Petroleum Producers told Al Jazeera. Alberta’s energy minister, Greg Melchin, defends the province’s decision to proceed with the exploitation of its oily sand. “There is a cost to it, but the benefits are substantially greater,” he insists. Not everyone agrees. George Poitras, a member of the Mikisew Cree tribe, lives downstream from the oil sands development. “You see a lot of the land dug up, a lot of the boreal forest struck down and it’s upsetting, it fills me with rage,” he says. Diana Gibson of the Parkland Institute, an environmental advocacy group, says that you can see the environmental damage generated by the extraction of oil sands around Fort McMurray from the moon. “What we are going to be having is destruction of very, very valuable ecosystems, and permanent pollution,” she says. Sources: “Alberta’s Heavy Oil Burden,” Al Jazeera English, March 17, 2008 (see english.aljazeera.net); and Russell Gold, “As Prices Surge, Oil Giants Turn Sludge into Gold,” The Wall Street Journal Online, March 27, 2006, A1.